Ultra-compact and ergonomic, this stylish and powerful Innokin box mod gives you the power to closely tailor your vaping experience. 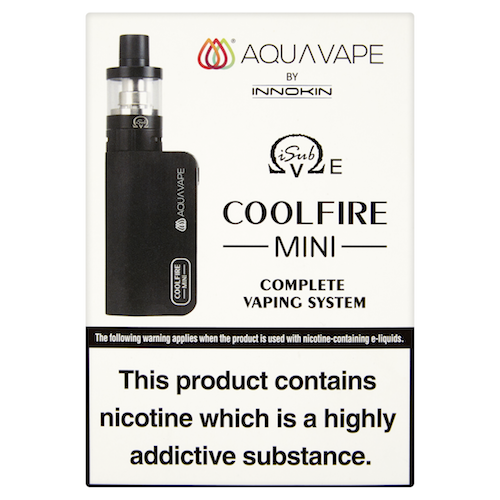 Ergonomic and compact, the CoolFire Mini has a classic rugged style of the InnokinCoolFire in a smaller yet still powerful design. This clever Innokin box mod is designed to make sub ohm vaping as straightforward as possible and the choice of different brushed metal finishes ensures the CoolFire Mini is a stylish vaping choice as well as an effective one. The ergonomic design of the e-cig ensures comfort in the hand and at just 63mm tall it fits with ease. 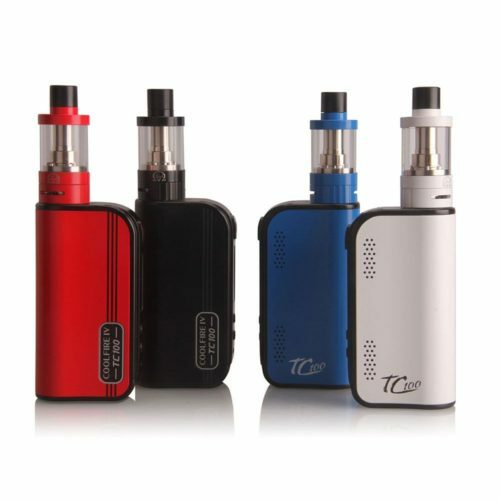 It also has a curved button design which makes vaping easier than ever before and the in-built OLED screen allows easy access and viewing of your settings. 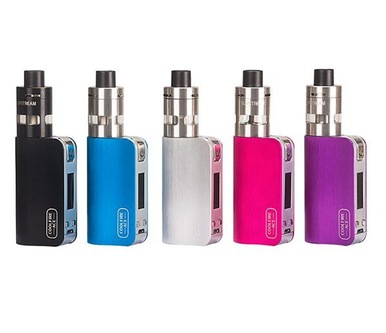 An upgrade to the CoolFire Vaporizer in a compact yet powerful design, this new Innokin box mod packs plenty of power. Delivering a precise 40W of output thanks to its built-in 1300mAh battery. The output can also be adjusted to as low as 6W, further enhancing your control over your vape experience. When it comes to compatibility, the Cool Fire Mini features high quality stainless steel 510 threading and a sturdy gold-plated spring loaded connector pin. This makes it easy to match with all standard coil and tank apparatus. You can team it with other Innokin hardware or opt for your preferred coil and tank. 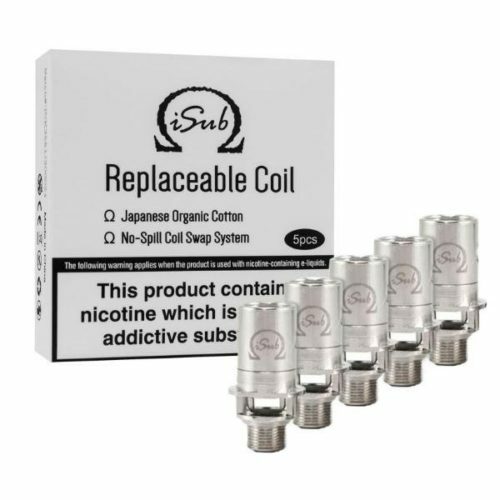 You can also use any sub ohm e-liquid to ensure the best flavour and intensity as you vape. 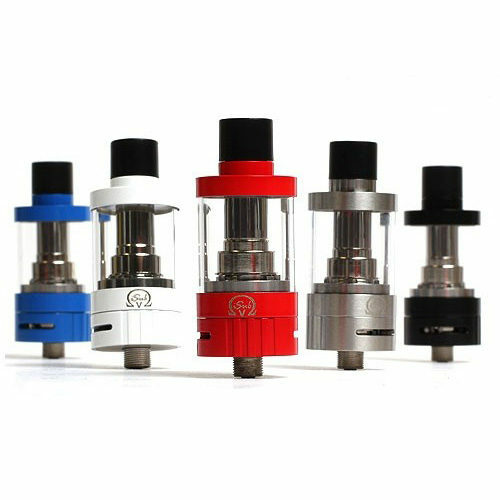 The clearomizer features a minimal 0.2Ohm resistance and holds 2ml of e-liquid. Keep your new box mod fully charged with ease thanks to its Micro USB charging port and it also offers vape-while-charging technology so there is no need to stop vaping while the battery is topped up. It also features a range of safety features including integrated overheat, over-discharge and charging safety protection.